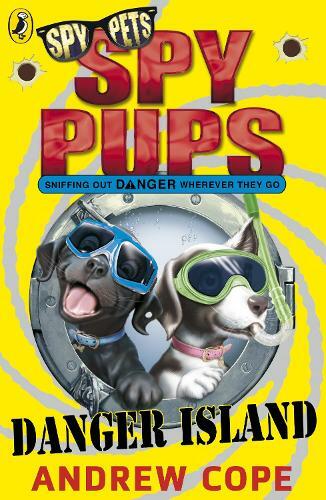 Spy Pups Danger Island by Andrew Cope is the awesome follow-on series to bestselling Spy Dogs! SPUD he's scatty and accident-prone - but good with the gadgets... STAR she's super-smart and ready to pounce . . . Together they're SPY PUPS, following hot in the paw prints of mum, LARA (that's Licensed Assault and Rescue Animal to you). Beaches up and down Britain are in terrible danger. A greedy trickster is polluting the seas - soon there'll be nowhere safe to swim. But, when SPUD discovers a mysterious underground secret, only he and STAR can save the day - and the seaside! ***Fun, exciting books for boys and girls aged 7+*** 'We love Lara! ****' - Kraze Club 'An imaginative, creative feast' - Radio Times Andrew Cope was born in Derby in 1966. He is a teacher, writer and a huge fan of Derby County football club. He really does have a dog called Lara who has one sticky-up ear and came from the RSPCA, but he's not sure if she is actually a highly trained secret agent. Andrew lives with his wife and two children. This is his first book.